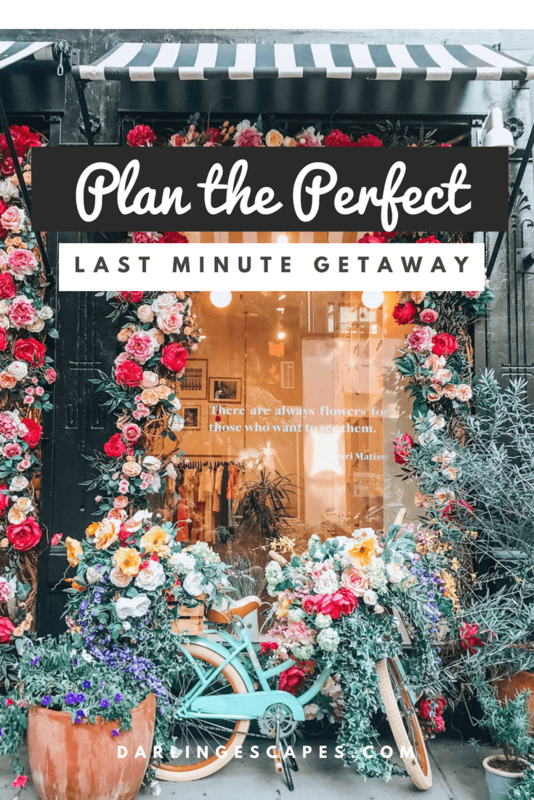 Not everyone feels comfortable when asked to plan the perfect last minute weekend getaway, but it is a lot easier than people think. I mean, the entire purpose of going on a last minute trip is to take a break, relax and unwind a bit. Unfortunately, people have a tendency of taking things about too seriously by attempting to over plan things, which defeats the purpose of a relaxing getaway. The trick to the perfect last-minute getaway is to make sure that you’re not spending too much time traveling to get there. As much as we love road trips, spending 50% of your time in the car or airplane isn’t going to leave much time to explore and relax. When looking to plan the perfect, think of places that won’t work more than 2-4 hours to get there (including time at the airport) each way. There’s nothing worse than having to cut your last day short because you have to travel back, or spending more time than needed at the airport. Also, remember that there’s nothing wrong with a staycation in your own city. Take NYC for example, you can spend days in each part of the city and still not see everything. Why not take a break from home, check into a hotel, and explore your city as a tourist? Or better yet, check into a spa with spa amenities and not leave the hotel at all?! 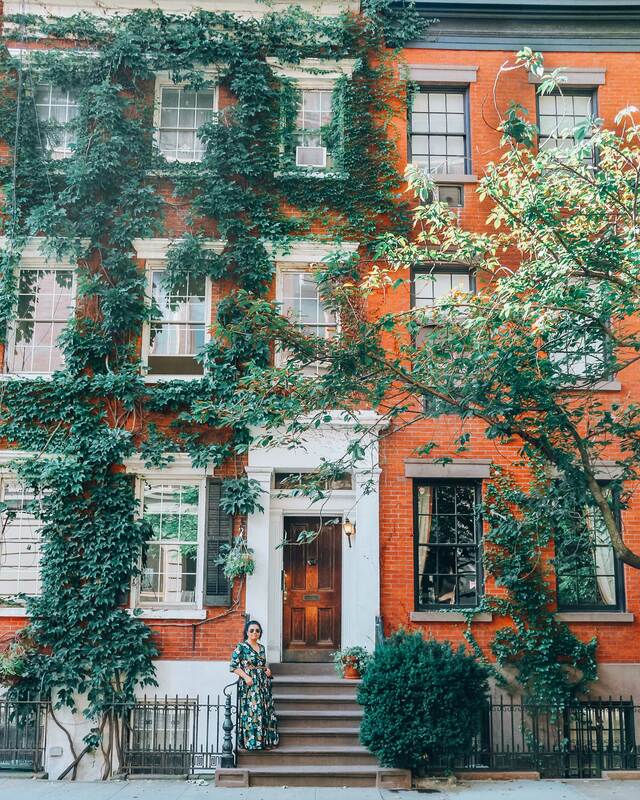 For example: after years of living in Manhattan, and knowing our neck of the woods (East Village) really well, we decided that a staycation in NYC was in order, and we opted to check out West Village and SOHO a bit more by checking into The James SOHO with a girlfriend. We used to find booking accommodations the hardest part of going way, but it doesn’t have to be. 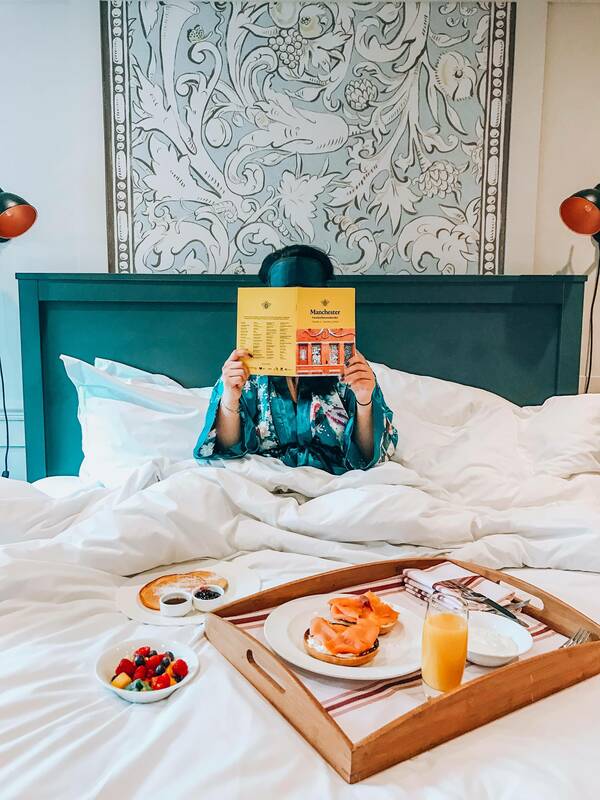 Instead of spending hours checking hotels, reading reviews, and trying to find the best rates, we just use Hotel Tonight not only find great rates but book a hotel in a few seconds. Want to really step your last minute weekend getaway plan up? Try Hotel Tonight’s new Daily Drop feature where you get access to an additional 30% discount on a select hotel daily (on top of their great rates) but only for 15 minutes each day. Once the 15 minutes are up, the deal goes away and you’ll have to wait for the next day to see a different deal. 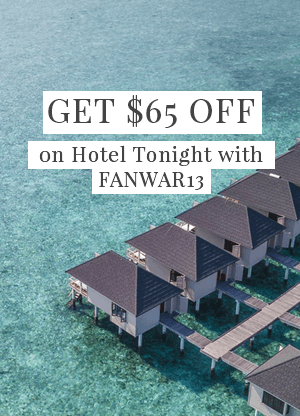 Code: FANWAR13 Note: This is our HotelTonight coupon code and if you use it, we'll both get $25 instantly! We’ve been using Hotel Tonight for years all over the way, and have spent a few thousand dollars booking hotels, and honestly wouldn’t use anything else unless I really have to. All you have to do is download the Hotel Tonight app and you’re off to the races. Pack only what you need. Seriously. We’ve seen way too many people think that they need to pack their entire wardrobe for a weekend getaway, but you really don’t. Take stock what the weekend is supposed to be. If it’s meant to be a reset weekend- then pack books, a kindle, some facemasks, and leave the rest of the electronics at home. If it’s meant to be a romantic weekend- then pack a few cute date outfits too if you’re planning on going out for dinner. If it’s meant to be an adventurous girlfriend’s getaway- then pack a few things that you will allow you to go on hikes, or wine tasting or whatever. Remember to bring travel size beauty and skincare products, and remember to leave all the stress at home. The beauty of planning a last minute weekend getaway is being stressfree and finding the right tools that make your life easier, and mundane transactions faster. It’s also about minimizing travel time unless a road trip is the ultimate plan. Thank you, Hotel Tonight for sponsoring this post, although all opinions are mine since I’ve been an HT fangirl for years.